Technology has transformed modern education. Over the last fifteen years, education has gone from paper to platform and app-based, with students and teachers learning together in remarkable new ways. Schools, colleges, and private learning providers are responding to these trends. Teachers and administrators are finding that new ways of learning make it easier to engage with students, keep parents informed, and manage the administration of education. It is, perhaps, no surprise that the eLearning sector is growing quickly, currently expected to be worth over $390 billion in 2026, with growth rates of 9.5%. 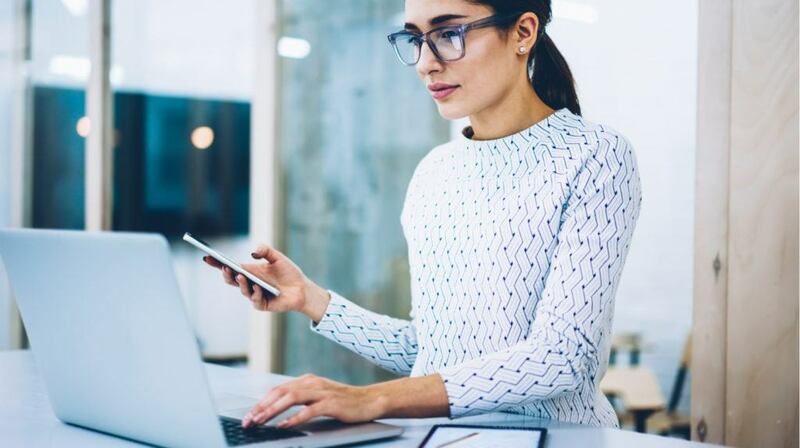 For schools, colleges, and other companies in this sector, one of the challenges is understanding how to create a mobile eLearning environment that meets the needs of students and educators. If you take your average Learning Management System (LMS)—most were designed for desktops, not smartphones—there is a lot of information and functionality to squeeze into a smaller screen. Access to course materials on a phone means that students can work whenever they want. Instead of needing the space to use a laptop, they can be studying on a bus, on a bench, and whenever they find a moment to work or read up on something for their next class. A mobile app also means that tutors can upload materials using a smartphone. Giving teachers the same flexibility as students, well it saves them time, which is a valuable commodity in the education sector when everyone is busy. It also gives tutors the ability to upload new reading materials and research on-the-go. With the right mobile learning solutions, tutors should be able to upload course materials in a variety of formats, providing they're mobile-friendly for the students reading them in the app or downloading them. Building on in-essay feedback, students and tutors need a system in place for communicating outside of classrooms. Students need extra assistance on an essay, or to ask for an extension to a deadline, or they may simply want to ask questions to build on their knowledge. Tutors prefer the convenience of a messaging platform that is designed around the classes they teach; otherwise, a student's question could get buried in a busy inbox. With in-app messaging, students and teachers can connect using a smartphone without emails flying back-and-forth, or a teacher's need to provide them with a phone number. It keeps everything in one place and is more convenient for learners and educators. It is an increasingly common practice that students collaborate on course using notes. In universities across the world, students create Facebook and WhatsApp or Snapchat groups to collaborate and share notes. Google Docs is a popular format for taking notes in lectures; with everyone who attends or couldn't attend able to contribute notes and links to extra reading. When you are creating an eLearning environment, it's important to remember the way students prefer to learn and work together. In practice, that means giving them easy ways to connect with the app, share notes, share documents, and collaborate on coursework questions and essays. As another essential requirement, it's helpful for students and college admin staff to give students easy access to administrative information. Beyond these minimum features, every school and college—whether you are K-12, a college or an online education company—will have other features they need, unique to them. When you are designing a mobile learning environment, the User Experience is a key consideration. Quick, easy to navigate and intuitive is what students and teachers want; otherwise, it could prove an underused service. Off-the-shelf systems rarely provide the sort of functionality that students and teachers need, and customization is often difficult and time-consuming. With a custom-built solution, you can create a mobile environment that is tailored around the journey a student takes from when they enrolled to when they graduate.